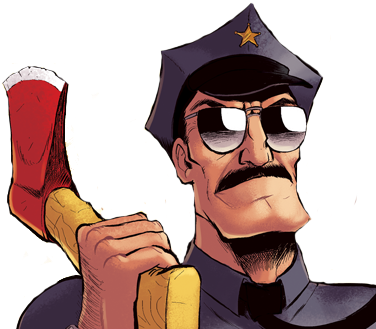 Axe Cop Never Says Uncle! 1. YES it can be beaten. 3. 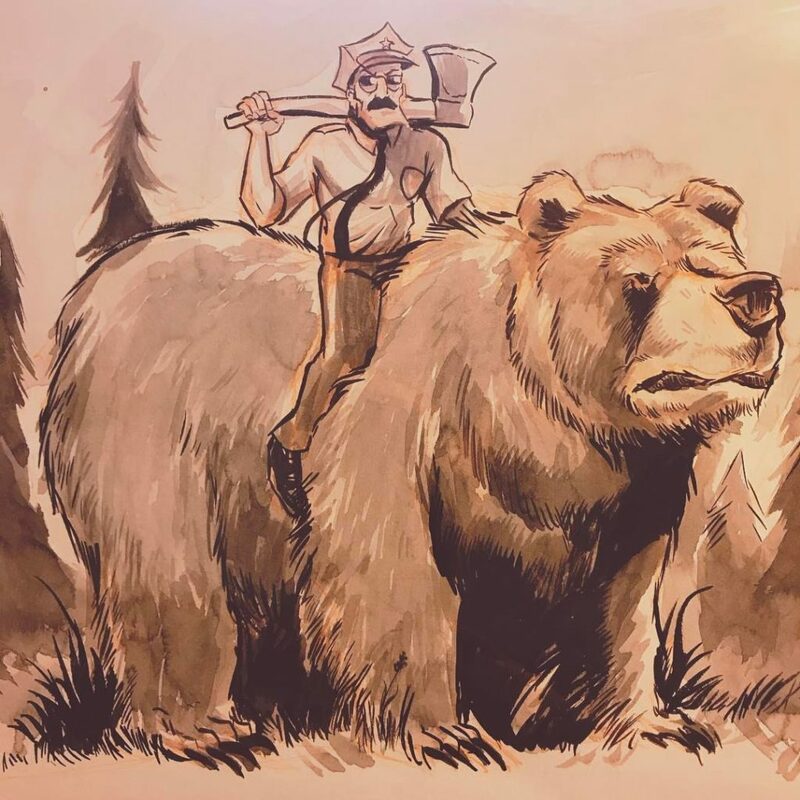 The first person to WIN and email the victory screen to [email protected] gets this sumi ink drawing of Axe Cop riding a bear! UDATE: Congrats to the winner, Colin T.! 4. If the embedded game is not working for you, you can download the game for free here: Windows version, MAC version. I promise there is nothing malicious in that software, it’s just the game. 5. If some of the birds freeze in place, I told the game makers to keep the glitch because I like how old it makes it feel like an old glitchy NES game. You can still win if the birds freeze in place. Huge, huge thanks to TBA Games! for making this game a reality and Parry Gripp for the amazing music, and of course Dave DeAndrea for the great voice work. This game is hilarious and I can’t get that song out of my head. Also, PLEASE DO ME A SOLID! My other comic, Bearmageddon has been climbing the charts over at TWC.com. I am trying hard to get it to hit #1. I have never made it to the top 10 and I really want to see the effect it has on my traffic to reach the top 10. Please take a moment to vote, It is super simple and doesn’t require any sign ups or registering. You can vote DAILY. We went from spot #650 to #144 yesterday alone! Good luck with those birds and thanks for reading Axe Cop. Heh, the game was confusing at first–but after not saying uncle a couple of times, the controls finally did something to help me get those pesky birds of prey. Hahaha, that was pretty neat. The difficulty was more in putting your faith in the game as a well-crafted work and not something broken. Which makes sense given the premise. If Axe Cop can’t say Uncle, how does he reffers to someone’s father’s Brother? 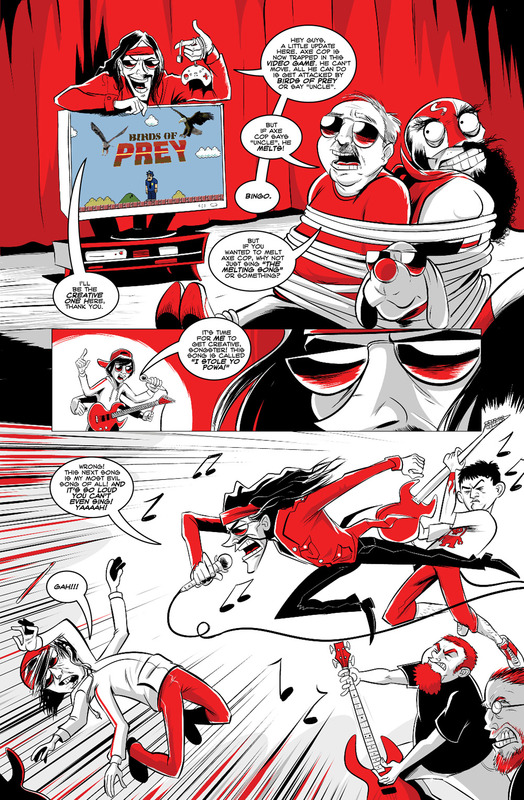 Recent Appearance: Axe Cop Never Says Uncle!